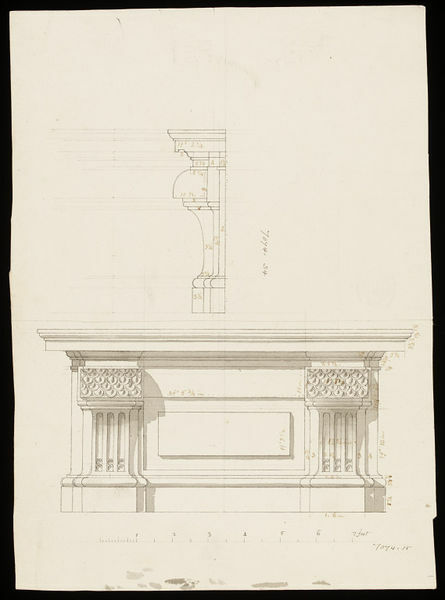 Elevation and section of the plinth of a window by leading architect and designer Sir William Chambers (1723-1796). This mannerist plinth has two brackets ornamented with scale pattern. A rectangular tablet is placed between the brackets. The sheet formed from two pieces joined together. Chambers was born in Sweden and died in London. He travelled widely, visiting China, and studied architecture at the Ecole des Arts, Paris, from 1749 and in Italy from 1750 to 1755. Many of his drawings from this period are contained in his important 'Franco-Italian' album, held in the V&A. Chambers moved to London in 1755 and published his influential Treatise on Civil Architecture in 1759. Chambers demonstrated the breadth of his style in buildings such as Gower (later Carrington) House and Melbourne House, London, in such country houses as Duddingston, Scotland, and in the garden architecture he designed for Wilton House, Wiltshire, and at Kew Gardens. He became head of government building in 1782, and in this capacity built Somerset House, London. 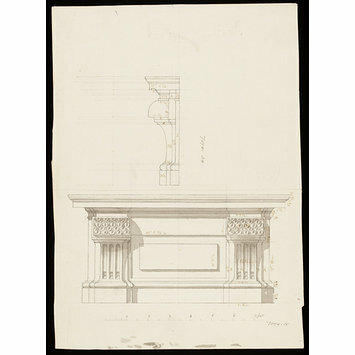 Elevation and section of the plinth of a window. This mannerist plinth has two brackets ornamented with scale pattern. A rectangular tablet is placed between the brackets. 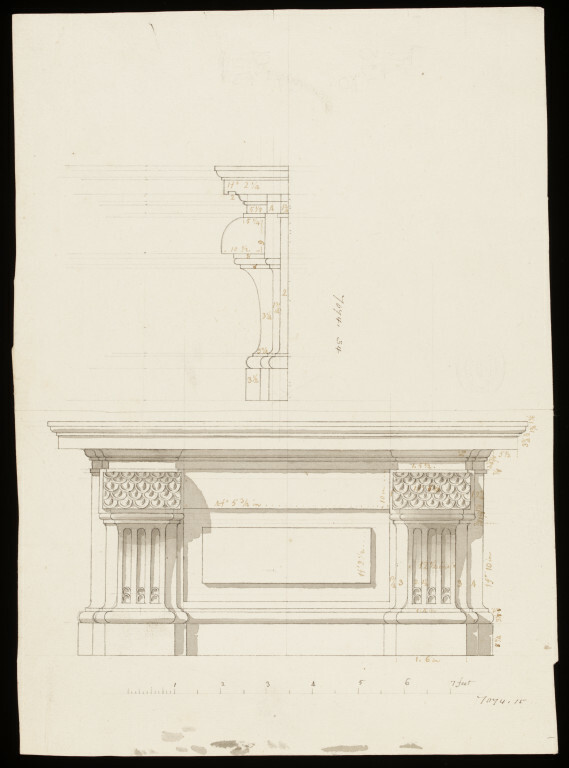 Elevation and section of the plinth of a window, 18th century, Sir William Chambers (1723-1796). Snodin, M. Sir William Chambers. London: V&A Publications, 1996. Attribution note: The sheet is formed from two pieces joined together.